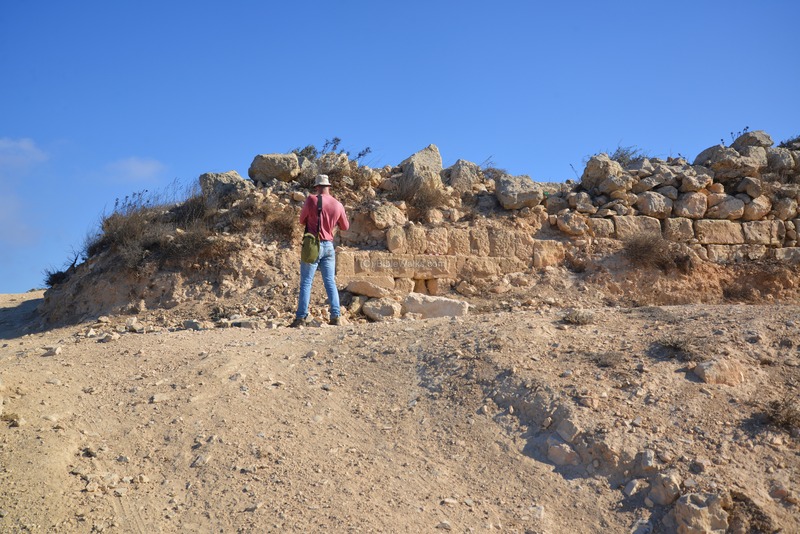 Towards the end of this past semester, before I was distracted by the wonderfully hectic month of archaeological digging at Tel es-Safi (biblical Gath), I took a day-trip with the legendary Dr Dvir Raviv to some cool sites in the Shomron. 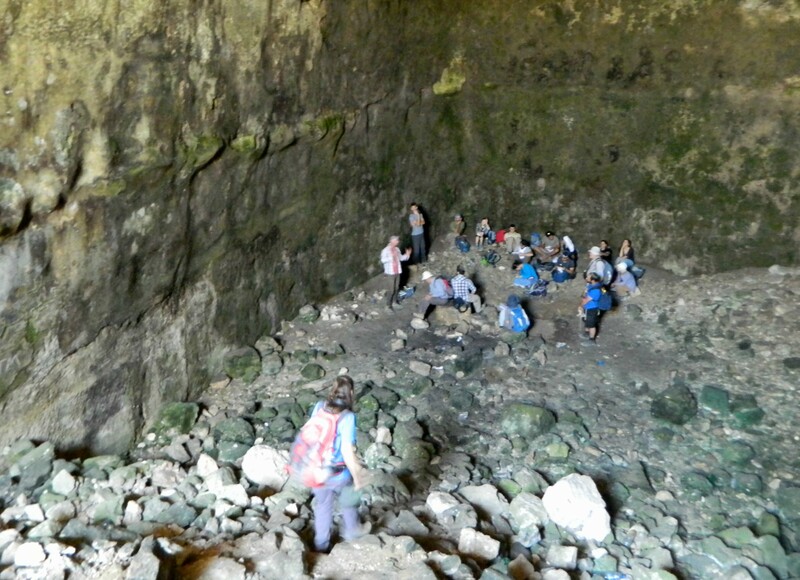 Another of Bar Ilan University’s Archaeological department’s academic tours, this was one that I had been looking forward to all year – especially after last year’s fascinating trip to the Southeast Shomron with the same Dr Raviv. 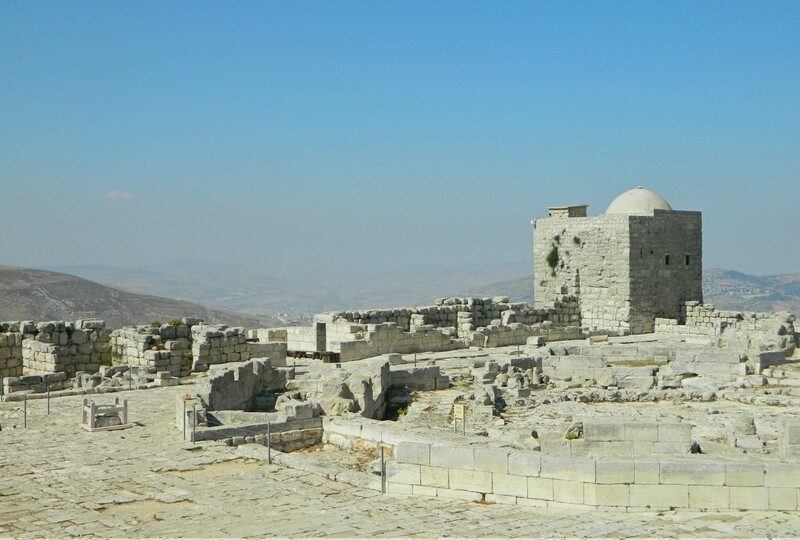 Our tour bus departed from the university campus in the morning and we made our way to the Shomron, driving through the ever-entertaining Arab village of Hawara and then passing Shechem (Nablus) before entering Itamar where we disembarked at an army post. Gathering around and applying sunscreen, we were briefed by Dvir who told us the plan of the day. Much to our surprise, he pointed to a conical peak a ways away and announced that we were to climb it – for that is Tel Aroma. We set off expeditiously, making our way down the slope of the low mountain that we were on, and reached the paved road down below in good time. This was an ancient road that crossed the mountains of the Shomron and we walked it to get to a good spot to climb up to the tel. Along the way, we saw planted olive trees, wild carrot in bloom and my first definite sparrowhawk which flew away before I could squeeze off a shot. Leaving the road, we stopped beneath a gathering of almond trees to learn more about the area. 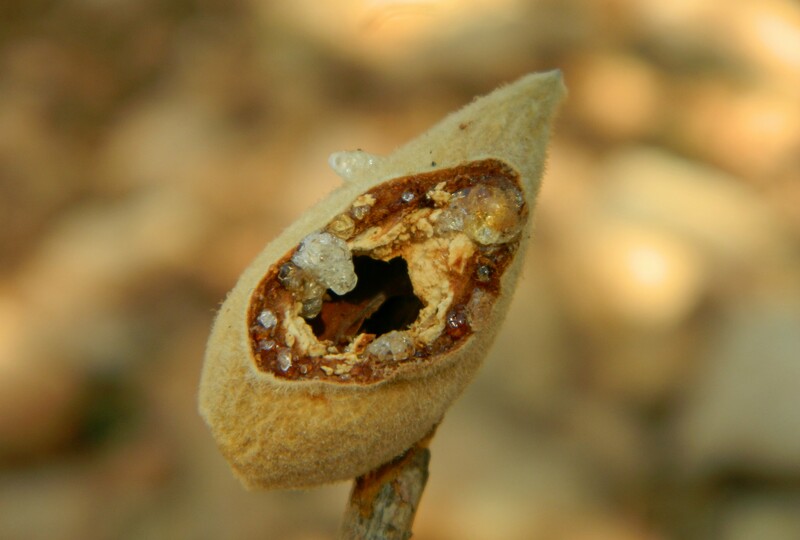 As I looked about I noticed that some of the almond shells had been chewed by one of nature’s hungry inhabitants, and upon proposing the identity question to experts, learned that the nuts were eaten by rose-ringed parakeets (an invasive species in Israel). Sitting in the welcoming shade, the peaceful sounds of nature surrounding us, we rested, ate, drank and listened to the mini-lecture. When we rose refreshed and began our ascent of the mountain something interesting happened. The leading members of our party had startled a small sounder of wild boars – some adult females and a handful of striped youngsters. 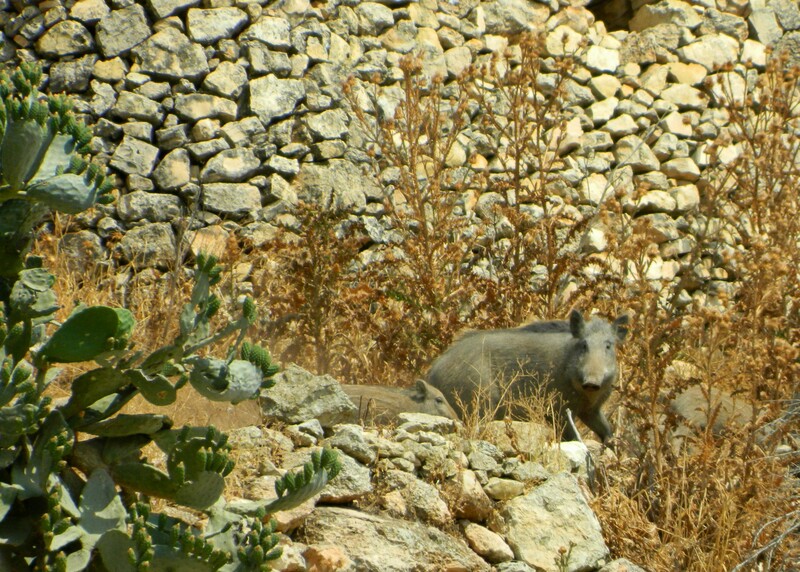 I heard my name being shouted and became aware of the wild boars making their escape, passing an old stone structure as they fled downhill. With the brief excitement over we returned to the task at hand, scaling the mountain without the use of a marked trail. Dvir led the way, springing lightly up the slope, and we followed behind dutifully. The going was a little tough, but rather invigorating, and we made great time due to our youthful enthusiasm. I stopped at one point and took this great photo of my friend Ben Yablon climbing behind me. At last we reached the top and we laid eyes on a hewn cistern – the first of many, which look like small caves from the outside. Around the cistern, and across the top of the tel, were large amounts of cut ashlars for monumental construction. 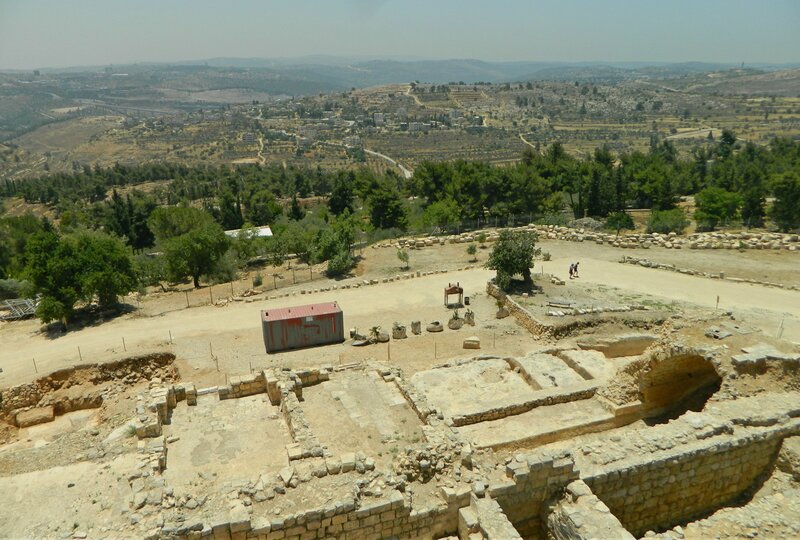 With the mountaintop first fortified by the Canaanites, the site’s subsequent history is poorer than so many of Israel’s tels largely due to its remoteness and inaccessible nature. 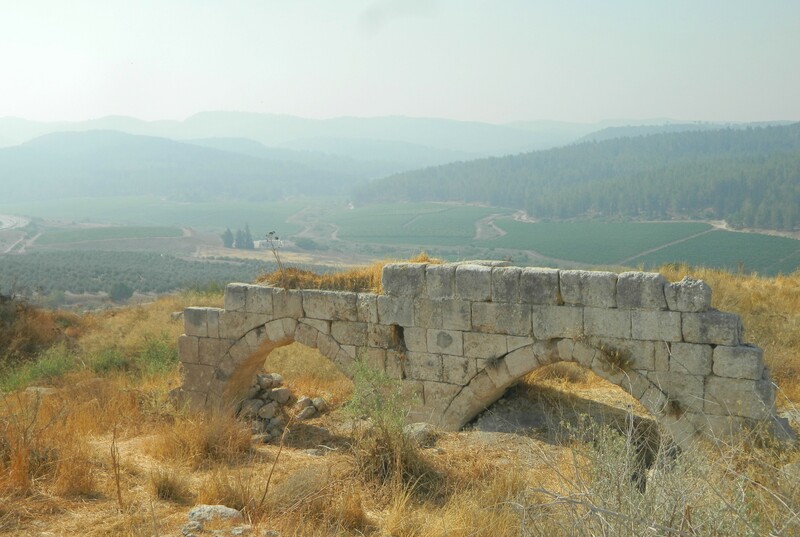 Biblically mentioned only once, the tel is referred to as a stronghold near Shechem and it is not until the Hasmonean period that Aroma’s importance came into play. 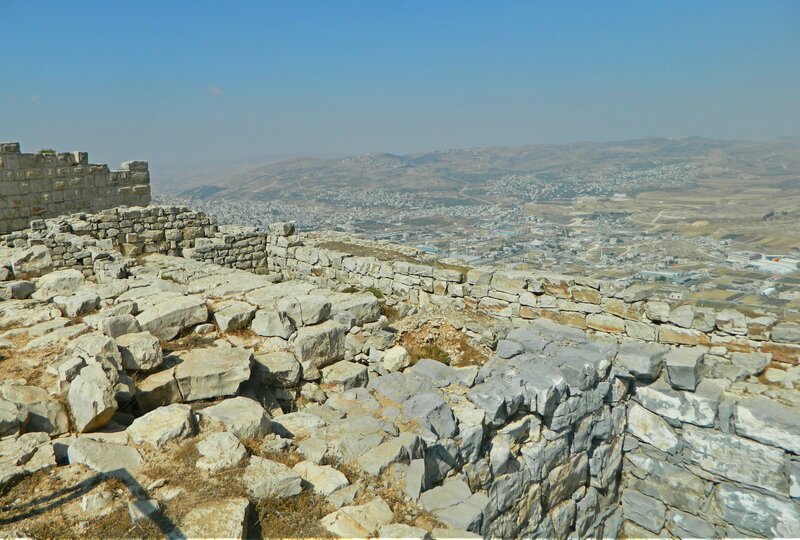 Being in the land of the Samaritans, which we would see in the second half of the day’s tour, the Hasmoneans conquered Shechem and Mount Gerizim from them and took up fortifications at Aroma and Sartaba further to the east. It was during this time that the fortress was built and immense water reservoirs were carved out of the bedrock. 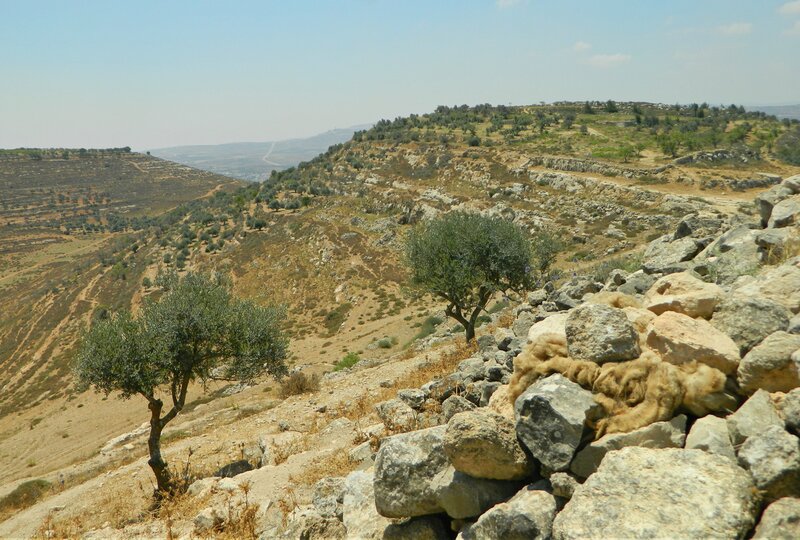 The next, and final, period of importance for Aroma was during the time of Herod around 2000 years ago, when it was refortified to keep control over the Shomron roads. We made our way to the southern end of the tel and admired both the view and the ruins. The blue sky around us was alive with energetic swifts (mostly common with one or two alpine thrown in), keeping us company as we explored. Suddenly a strange call was heard and fellow tour member Nesia, a more experienced birder than I, informed me that a bee-eater had flown past – of which I saw but a fast-moving blur. We settled down beneath some olive and fig trees to learn more from Dvir and I found myself promptly distracted by a bird flying about among the rocks far below. Using Nesia’s binoculars and my own camera (even with the inferior digital zoom), I couldn’t figure out exactly what I was seeing. Turning to the experts once again, I was informed that I had seen and photographed a black-eared wheatear (my first). From the same vantage point, this time heard but not seen, was the familiar drumming of a Syrian woodpecker. And lastly, some ravens above a distant mountaintop were spotted and added to the list. With Tel Aroma never excavated – only having been surveyed – it was sad to see that vandals had destroyed part of a Hasmonean wall that Dvir had found intact only several days prior to our trip. 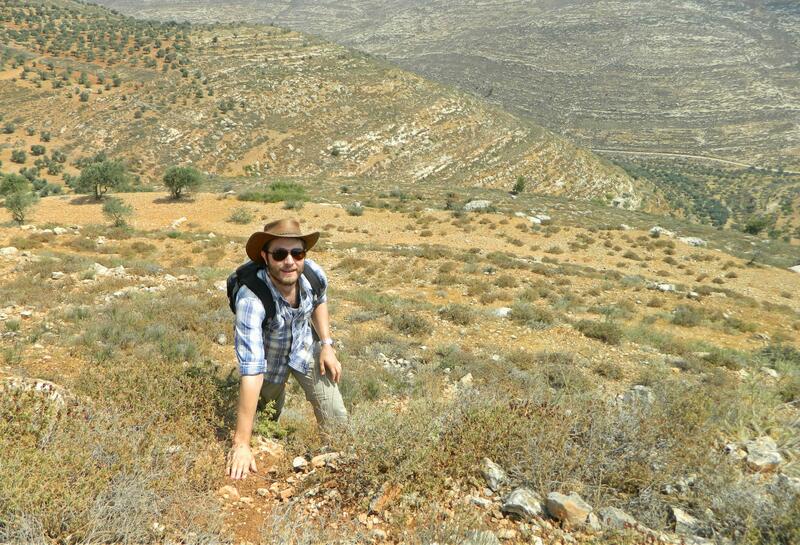 A photo from 2016 of Dvir standing at the wall that had just been destroyed can be seen HERE on Biblewalks, an amazing site which he collaborates with from time to time. He told us an interesting story of his encounter with a band from a nearby Arab village who demanded to know what he was doing, whereas their presence was the one which truly demanded explanations, as antiquity robbing is commonplace in such areas. Leaving the fresh ruination behind, after documentation, we made our way to the line of cisterns along the western side of the tel. We entered the first of the immense cisterns, lined with plaster to retain water, and marveled at the size. Measuring some 20+ metres long by approximately 10 metres both wide and tall, the cistern was designed to hold a maximum of some 2,500 cubic metres – quite a lot of water! Within the cool dampness of the cistern we learned more about the water system of this and other Hasmonean sites, with comparisons to Sartaba and Herodian Masada (which has even bigger cisterns). Exiting the cistern, we emerged blinking in the bright sun and made our way past the succession of similar cisterns until we reached the northern end, where the barely distinguishable remains of an aqueduct can be seen. At that time a gorgeous swallowtail butterfly floated past me and I spent a few minutes trying to get a good shot but to no avail. We then trotted back down the mountain, heading for the point where we started, but from a different angle. We passed a truly peculiar sight as we walked – a field disturbingly littered with plastic bags, with a fresh delivery drifting over with each fresh gust of wind over a distant garbage pile. Someone said that they spotted a fox but I saw nothing note-worthy until we reached a cool spring with its algae-filled pool. 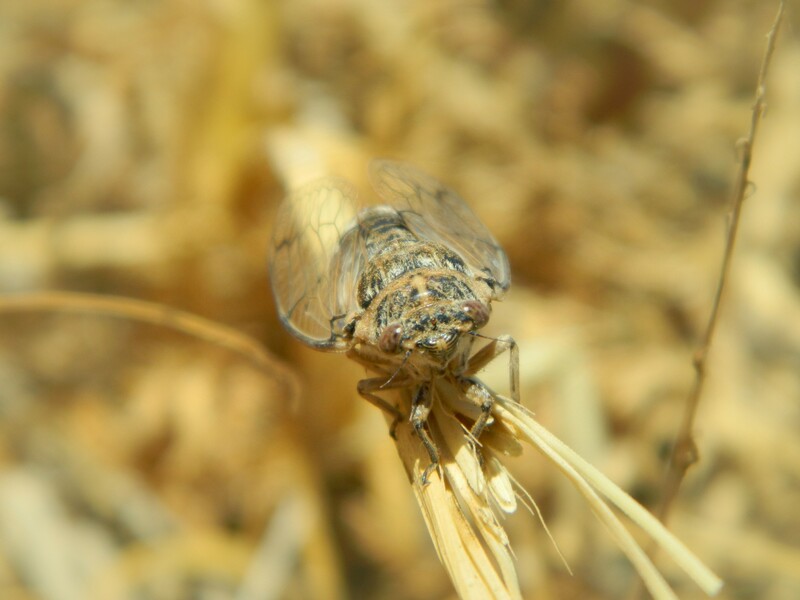 We spent a few minutes at the spring and then carried onward downhill – where I took pause to photograph a very calm cicada that tried deafening me with his calls (cicadas being one of the loudest insects, producing sounds of up to 12o decibels – the same as the report of a shotgun). Note the light-sensing eyes that look like tiny red dots on his forehead between his normal eyes. Dashing our way up the mountain towards Itamar, we boarded the bus hot and breathless, gulping down large quantities of water. 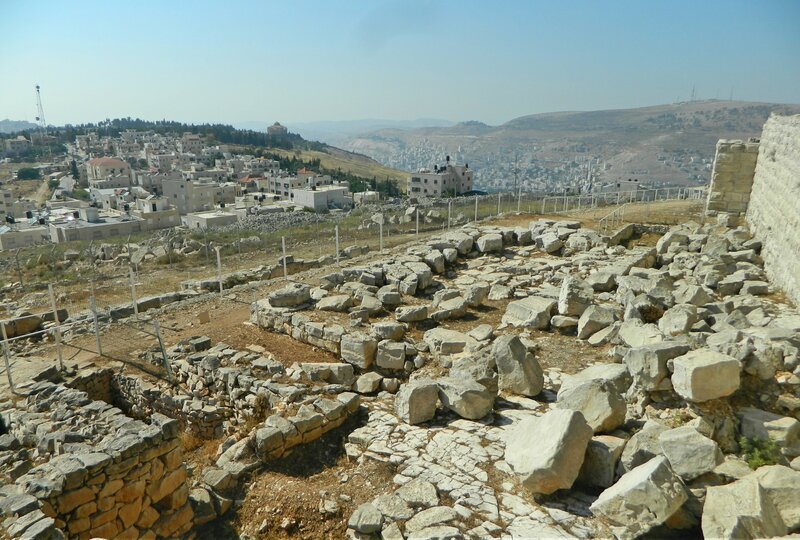 But the day was far from over – we had another large site to visit: the ruins on Mount Gerizim overlooking Shechem. 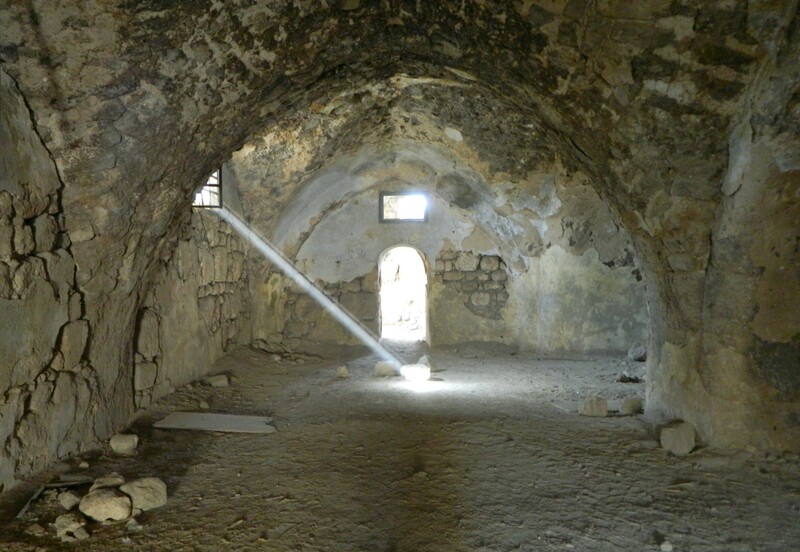 Driving back past the southern entrance to Shechem, we drove up Mount Gerizim and turned towards the Samaritan village of Luza – all familiar sights from when I was a soldier stationed in the region. The Samaritans were a sect of Jews that splintered off in antiquity and created their own form of Judaism, replacing several of Judaism’s core foundations with those of their own and naming Mount Gerizim as their holy city in place of Jerusalem. Samaritans have had a history of persecution and intermarriage with the local Arab populations which make them a very interesting portion of today’s Israeli demographic. 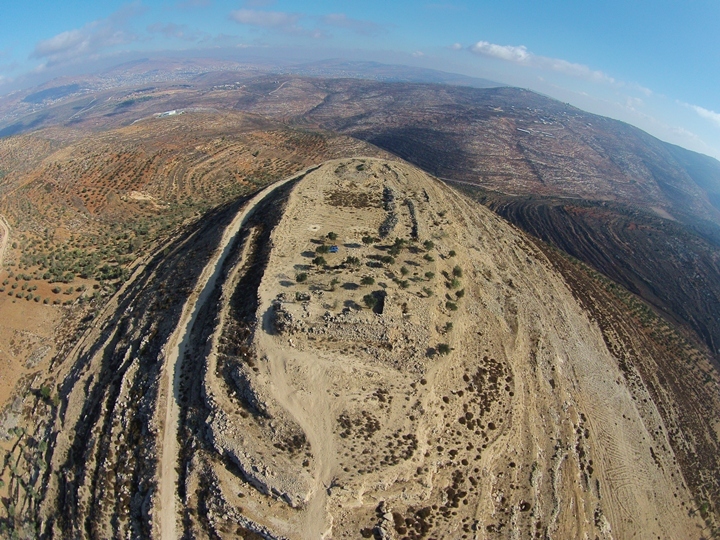 Located on the southern of the twin peaks Gerizim and Ebal, as biblically mentioned, our tour was mostly that of the national park that has recently been established to preserve the ruins (aerial photograph can be seen HERE). Passing through Luza, we entered the park and disembarked to begin our trip. We began by breezing past the plentiful Hellenistic age ruins as we made for the lookout over Shechem and the Byzantine monastery complex. It was rather enjoyable pointing out the various sites of interest far below, including Kever Yosef and several houses of Christian and Muslim worship. Sitting in the shade beneath the walls of the Byzantine monastery, we learned more about the site from Dvir who prepared us for what we were to see while in the comfort of the shade. Skirting the meagre Persian period ruins, we climbed up into the church complex and gazed about at the Byzantine ruins, with the octagonal church remains in the centre and the sheikh’s tomb built into the northeast corner tower. We admired the fallen architectural details, including Corinthian columns and floor mosaics, as we circled the site. Due to the length of the Tel Aroma part of the trip we were slightly pressed for time and weren’t able to explore too finely all the ruins that were laid out before us. It was when we were looking out at the Hellenistic ruins of a mansion that I noticed one of my favourite birds hopping about on the rocks – a male blue rock thrush. Glancing at the rest of the ruins, including some Samaritan holy sites, we headed back for the bus because the park was closing. Thus ended another long but exciting trips to the Shomron with Dr Dvir Raviv, I look forward to next year’s with bated breath! The day following my three-day trip to the Golan and Galilee had me up and active early in the morning, on a Bar Ilan University’s Archaeology department trip to some Crusader sites in the Jerusalem area. Obvious sites would be Aqua Bella (Ein Hemed) or Castel, of which I have visited neither to date, but we were specifically going to more obscure ruins. 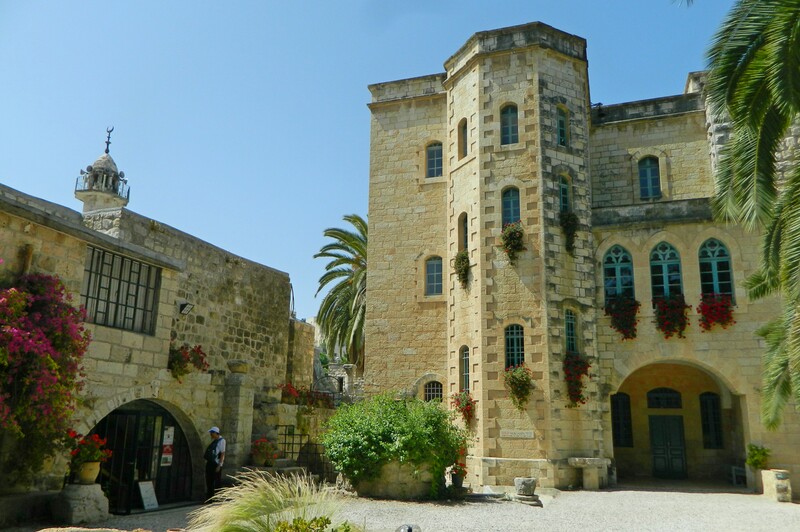 The first on our list was the Crusader castle at Latrun, known as Toron des Chevaliers (French for “Castle of the Knights”), and our bus brought us to it with no delay. We sat outside the modern Latrun Monastery (built in 1890) while our guide, Dr Jonathan Rubin, gave us the necessary background material to accompany the tour. While we were sitting I noticed a curious monument dedicated to three medieval characters from the three Abrahamic religions: the Jewish sage Rashi, the Christian abbot Bernard of Clairvaux and Muslim sultan Saladin. From there we started on the short trail to the ruins, fire-fighting planes and a pair of falcons flying overhead, the morning view spread out before us as we climbed the gradual hill. We took our first stop at a standing structure that was reworked with concrete sometime during the last century, an outpost of the Jordanian army. Walking among the golden-dead vegetation we identified a handful of the original Crusader ruins, occupied by the Templar knights and eventually surrendered to the aforementioned Saladin who had the castle razed to the ground. Unfortunately, after the destruction of 1191 the castle was never rebuilt and many of the building stones were removed as spolia (or re-purposing stones for later construction). Armed with fragmented plans we retraced the overgrown ruins, the highlight being the above arched wall and the vaulted great room – the sunlight streaming in made for an ethereal scene. While exploring I spotted a Sardinian warbler on a dry plant, but nothing else interesting in terms of fauna. Circling around the southern edge of the ruins, we stamped our way through the thorny undergrowth on our way out for we had other ruins to see that day. Whilst waiting for all at the bus, one of the esteemed members of our group gave us a brief lecture on capers, which he found growing along the trail. I have made the mistake of confusing the caper blossom with that of a passiflora (ie passionfruit), and when researching them both online, I found that even their fruits look quite similar. Boarding the buses we were then driven to the next site on our list, the Church of the Crusaders in Abu Ghosh, held within the confines of the Benedictine Monastery. 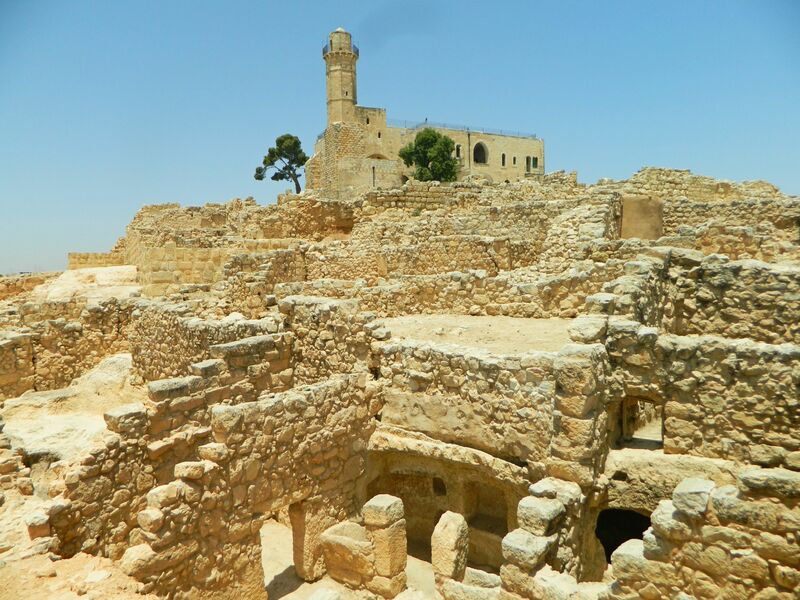 While Abu Ghosh is perhaps most famous for its hummus, the Crusader ruins (restored in the early 1900s) were quite impressive. The monastery grounds were quiet and well-kept, and the few Trappist abbots walking to and fro in their spotless white robes. 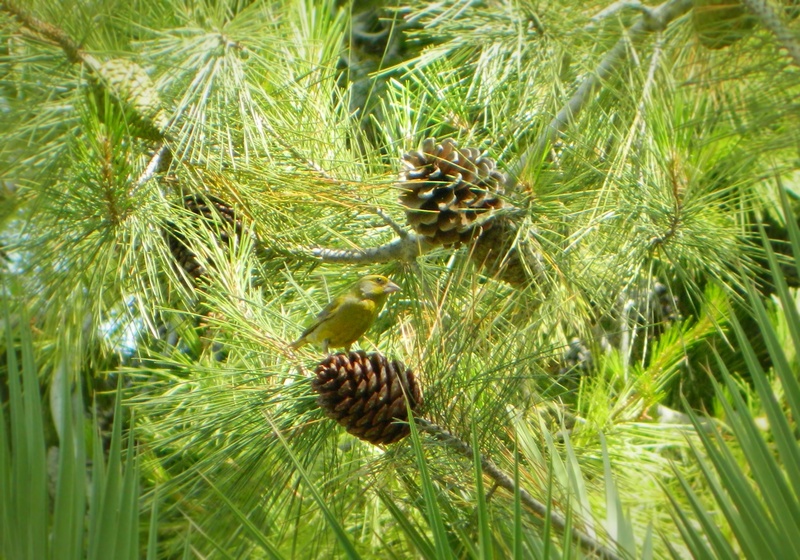 As we settled in a secluded corner to learn about the site from Dr Rubin, I had plenty of distractions with a healthy number of songbirds flitting about, filling the air with their sweet song. The building’s origins date to the Roman times when a large cistern was constructed over an underground spring, an eared tablet citing the Tenth Legion (which was camped in the area outside Jerusalem) still visible in the wall. A thousand or so years later a Frankish church was built over the cistern, which was subsequently turned into the crypt, and extravagant frescoes were illustrated on the walls. Controlled by the Hospitallers, a fellow Order of the Templars, the church was conquered by Saladin but not destroyed. Since restored, the church has been instilled with new life, with visitors of all religions visiting to see the original Crusader-era frescoes on the walls in the Gothic-vaulted chapel. 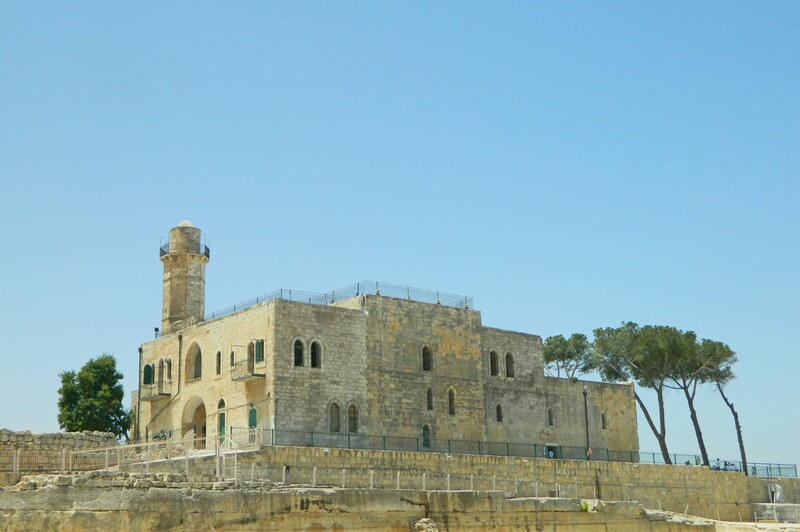 Leaving the dominion of the church, we passed the old mosque of Abu Ghosh and then rode our tour bus out of the village, passing the expansive Akhmad Kadyrov Mosque – Israel’s second-largest mosque, a $10 million project largely funded by the controversial ruler of Chechnya, Ramzan Kadyrov. Our next stop was Nabi Samuel located on a hilltop just north of Jerusalem, not far from Ramot Forest. Disembarking outside, we gained entrance to the national park and began our tour by breezing through the northeast corner – the “high place” composed of structures for hosting pilgrims and more. 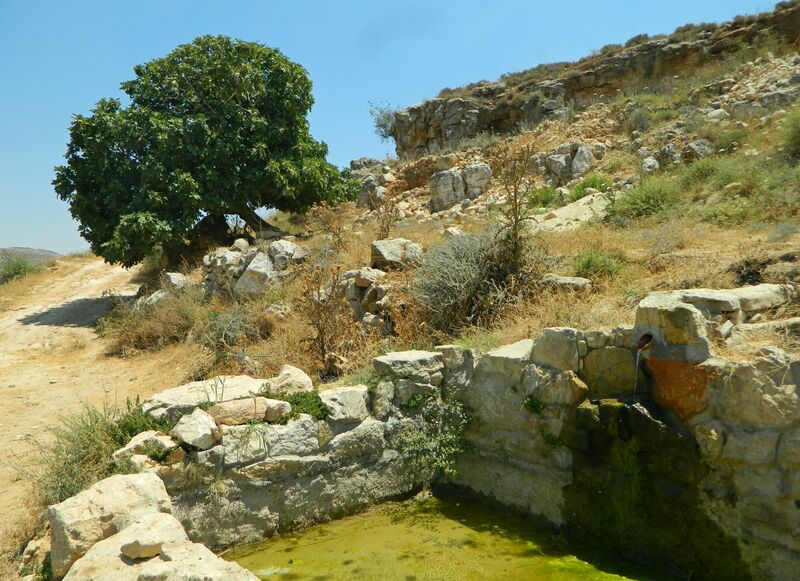 According to all three Abrahamic faiths, the biblical prophet Shmuel/Samuel/Samwil was buried on this hilltop and thus there are aspects of all three religions at the site. Sitting underneath olive trees at the edge of the site, Dr Rubin gave forth the necessary information for us to continue exploring the site – focusing on the unique architecture (especially the Crusader church of St Samuel being cross-shaped) and the importance of the site throughout the Middle Ages for all three faiths. In class, Dr Rubin told us about a Renaissance Jew by the name of Meshullam from Volterra visiting Nabi Samuel in the 1480s, and of course, the famous Medieval Jewish traveler Benjamin of Tudela visited Nabi Samuel as well. Continuing back around through the ruins, under the glaring Friday noon sun, we explored the large “parking area” of flat bedrock where pilgrims could camp out and the waterworks to support them, with channels, cisterns and more. 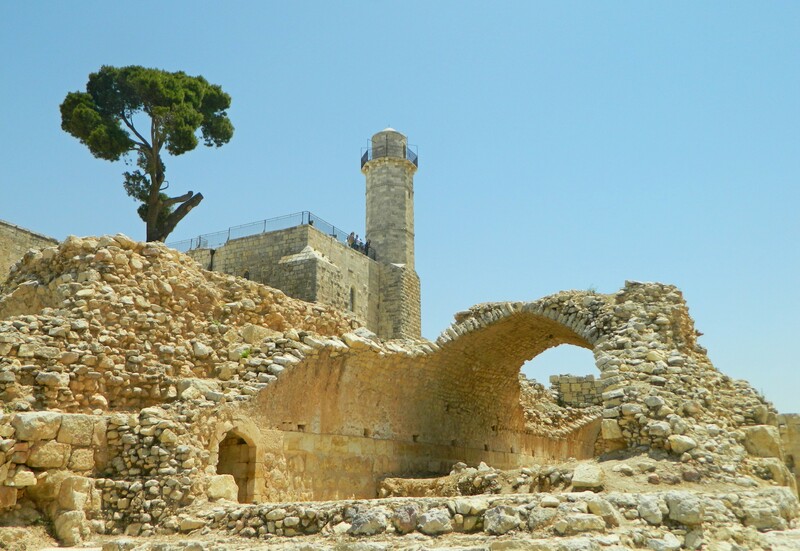 We swung around the the west side of Nabi Samuel to admire the vaulted ruins of the Crusader fortress which once encompassed the church. There, behind the hewn rock of the quarry – which is unusually close to the building site – we examined the restoration of fallen arches. From there we continued along to the exposed layers of ruins dating from the Hellenistic and Roman (Second Temple) eras until we reached the point where we started. With the exterior loop completed we turned our attention inward and crossed the modern bridge over the hewn dry moat, connected to the flat area where the pilgrims would camp. 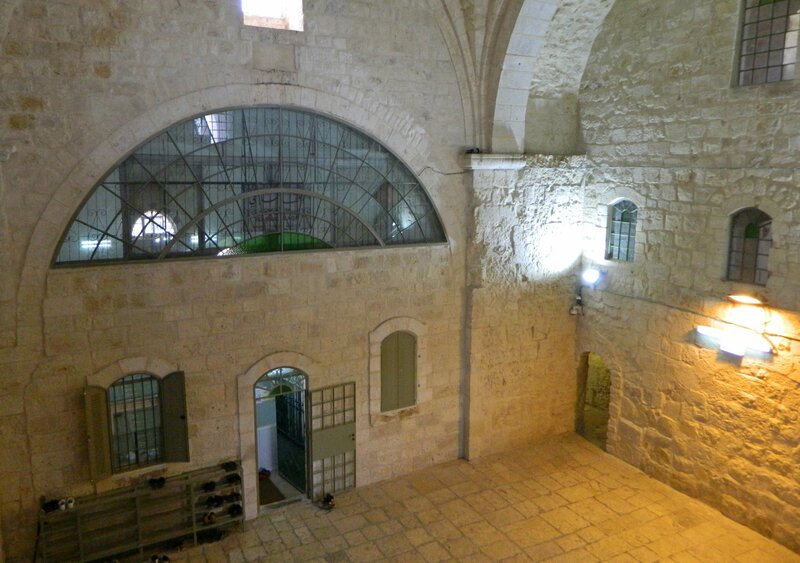 We approached the central building of Nabi Samuel which was built by the Muslims after banishing the Christians, keeping, for the most part, the cross-shaped layout. We entered the structure, making note of the characteristic Islamic-green door and window frames and shutters, as well as the Arabic plaque over the doorway. 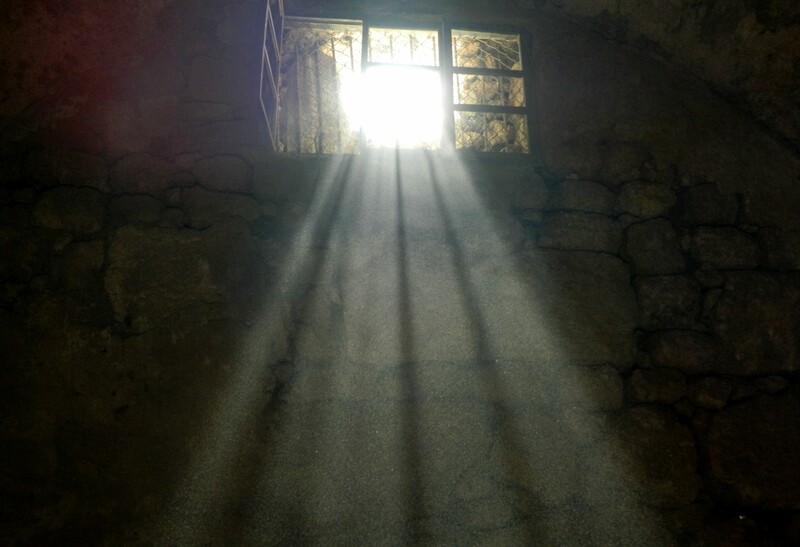 Inside, standing in a tall domed chamber of Gothic construction, we surveyed our surroundings which included Muslim features such as shelves for shoes, green glass in the windows, a mihrab (prayer niche) at the southern wall facing Mecca and a hard-to-see flag of the Islamic Waqf for the mosque. Straight ahead was the door to the Muslim shrine, where worshipers were in various stage of prayer facing a Mamluk-themed mihrab of green and white ablaq. To the right there was a small door which took us to the Jewish site, the kever of Shmuel, located in a small underground crypt. Standing in reverence, I took out a Tehillim (Book of Psalms) and opened to a random page, as is my personal tradition, intending on saying whatever chapter I come across. More times than not the chapter I randomly select mentions either something going on in my life at that time, or something that was mentioned to me or by me or in my head in recent times. Sure enough, I reached a verse with the word “abirim” which is Hebrew for knights (ie Crusaders). However, the actual translation of this verse is different, the word “knights” becoming “bulls” due to a literary rule that my Hebrew-language major roommate explained to me: “Do I eat the flesh of bulls, or drink the blood of goats?” (Psalms 50:13). Leaving the Jewish section, we regrouped at the entrance and made a quick loop around the exterior of the structure, where Dr Rubin pointed out interesting features such as mason marks and blocked up doorways. To put a final flourish on our trip we re-entered the building and took the narrow stone staircase to the roof where we stood beside the minaret and roof domes admiring the views of the surrounding areas both near and far. Descending back down the stairs, we made our way back to our bus and then back to Bar Ilan where we said farewell to one another, wishing a peaceful Shabbat for all. Wrapping up a trio of posts stemming from a three-day trip to the Galilee and Golan with 9th graders belonging to the school where I work, we awoke mosquito-bitten and hot at Tzemach Beach at the southern tip of the Kinneret. We went through the morning routine and before long we were ready for the first activity of the day, lunches packed away for later. 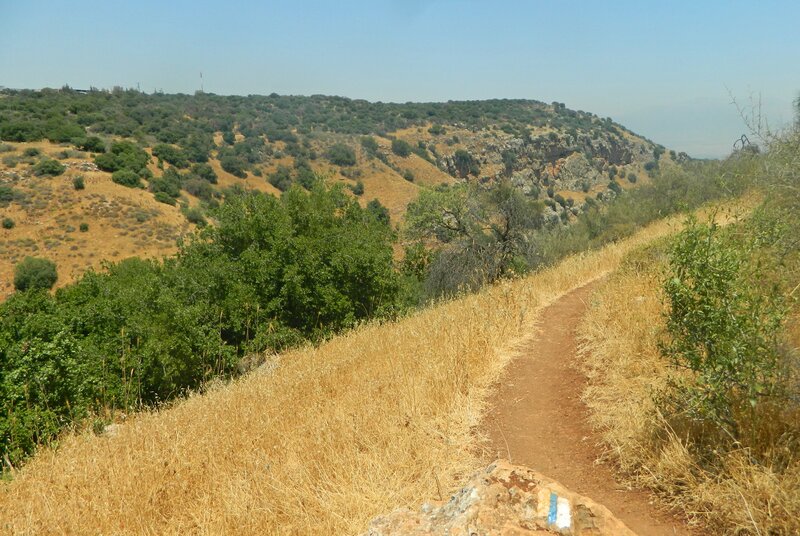 Due to the heat, the powers that be adapted our schedule to reduce heat stroke among the masses and our hike was to be a shaded one, in the wooded ravine of Nachal Kedesh in the Upper Galilee, not far from Tel Kedesh. But first we stopped at the kever (grave) of Choni HaMa’agal, a Jewish sage from the Roman era, in Hazor next to Rosh Pina. Continuing on to the hike, the buses deposited us at the trailhead near Yesha Junction where our guide gave us a short talk on geography and off we went into the ravine. Quite a shaded area, but still hot and surprisingly humid, there wasn’t much to do except for hiking which turned out to involve some scrambling and dropping off rocks to follow the winding trail. 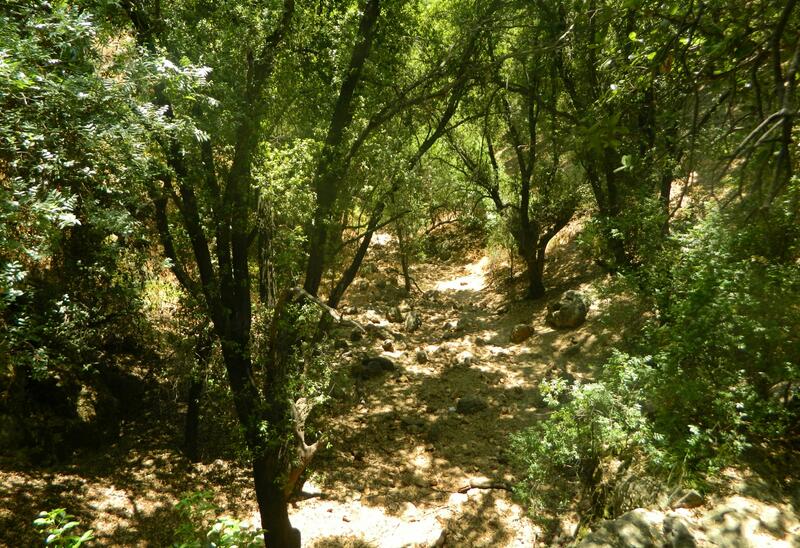 We walked along the dry and rocky streambed, our bodies drenched with sweat, but it went by quickly. 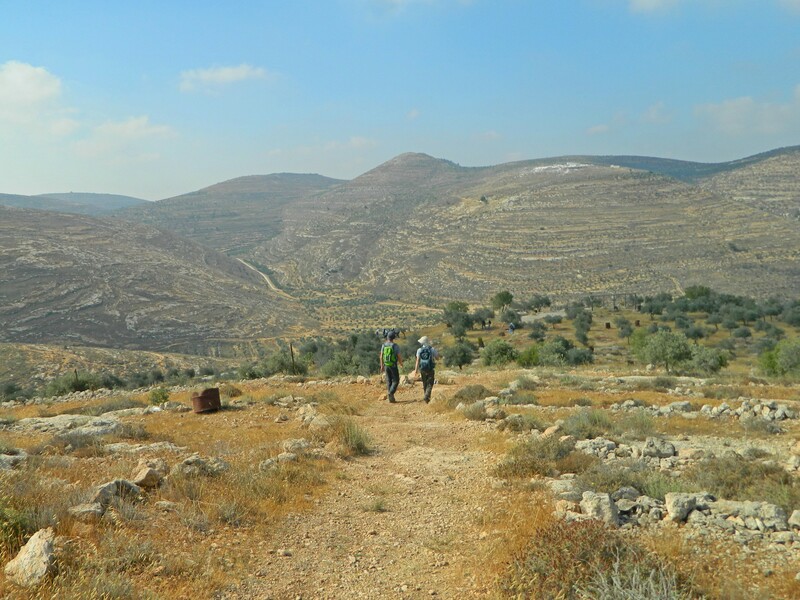 Before long we emerged from the shade of the trees and we were walking along the tri-colour-marked Israel National Trail with a lovely view of the Naftali mountains. I kept a sharp eye out for wildlife but it was simply too hot and the only thing of interest that I saw were wild carrot flowers, which I’ve been seeing everywhere these past few weeks. 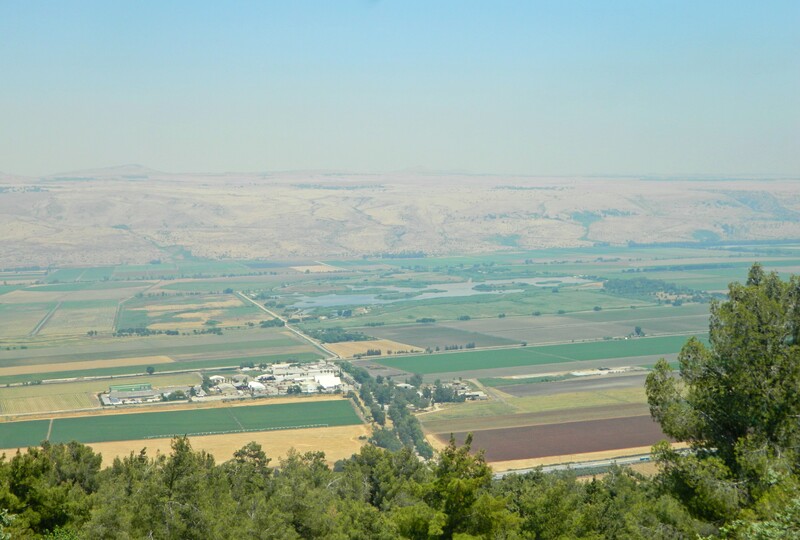 We approached a copse of pine trees and our trail turned south, affording a great view of the Hula Valley and the golden plateau of the Golan beyond. The trail marker turned red and there was a sign marking a grove of trees plants in memory of the soldiers that we were soon to learn about. Up ahead, just beyond the trees, was Metzudat Koach, a British-built police station that was occupied by Arab forces upon the British withdrawal in 1948. Jewish attempts at conquering the strategic fortress were costly and, despite eventual success, twenty-eight soldiers were killed. The name “Koach” means “strength” in Hebrew, as well as having the numerical value of 28 in correspondence to the soldiers who fell. As we approached this fortress we passed over an old bunker than played a part in the battle for the station. 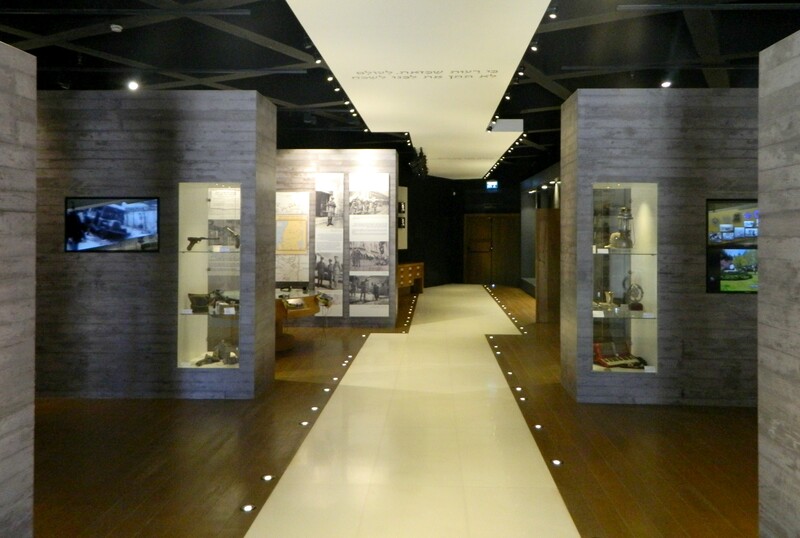 Beside the fortress we found a small museum, newly opened, which had both welcoming air-conditioning as well as a plethora of maps, explanations, antiquities and more from the birth of Israel as we know it today. 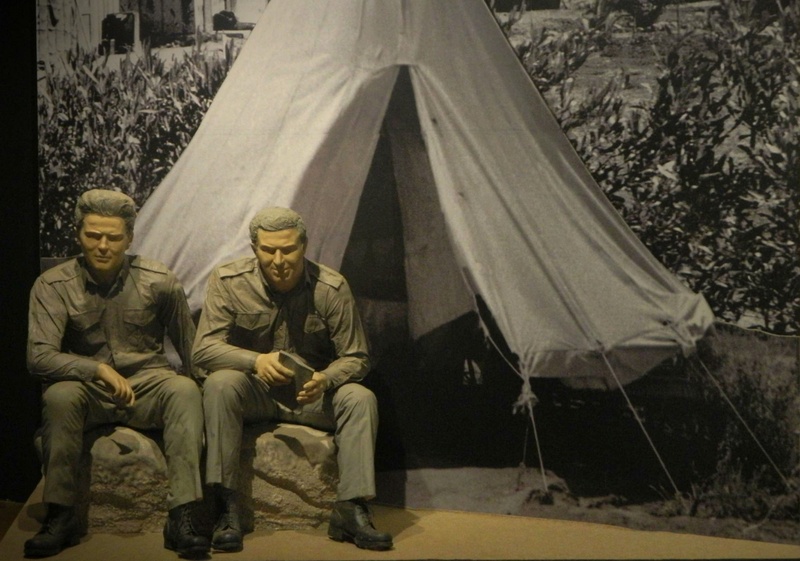 HaReut Museum, which translates to “comradeship”, offers a brief yet illuminating glimpse at the history of the battles that took place. The British, wanting to control the border, built a series of small pillboxes along the Old Northern Road, one of which is still standing today near Tel Kedesh. 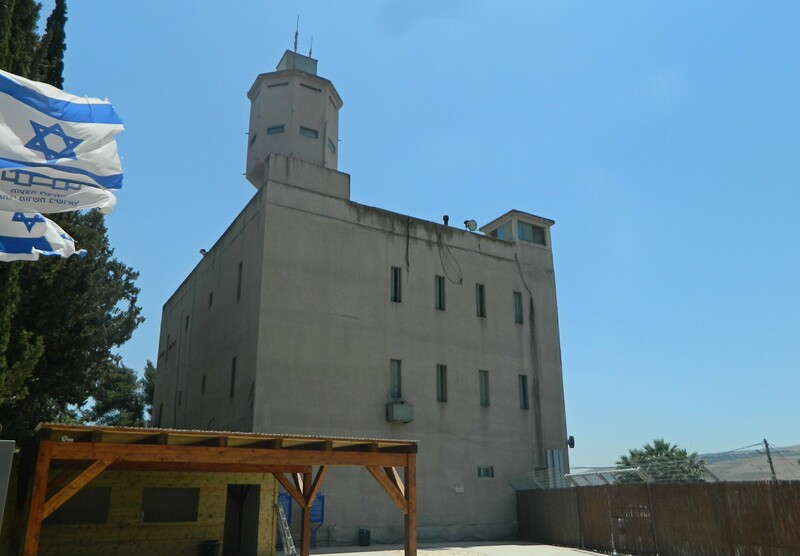 However, they still needed police stations so they constructed this one at what is/was called Nabi Yusha (a nearby Arab shrine to the prophet Joshua), as well as others further westward. As mentioned above, the fortress changed hands from the British to the Arabs to the Israelis and today it belongs as a Israeli Border Police base, a fitting use. When I had finished perusing the museum I opened the guestbook and inscribed a message of my own, kindly informing potential readers that I was to write a blog post about my impromptu visit. When the docent heard of my note he showed us other visitors’ messages, some laminated, which were interesting in and of themselves. I asked him when I was to expect my note to be laminated and, smiling genially, he was unable to confirm any date for me. With the group of lads outside, we at last returned to our duties and, a half hour or so later, found our way to the buses where we were to be taken to the last attraction of the three-day trip: “kayaking” or rafting on the Jordan River.